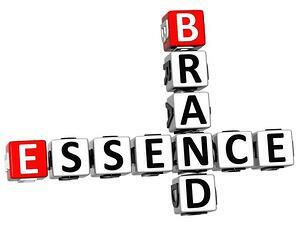 How Does Your Company's Brand Essence Impact Sales? While no one would argue the value and ROI marketing provides, the value and ROI of an organization’s brand essence is far less tangible. Market research firm Millward Brown’s “BrandZ” report lists the 100 most valuable brand names based upon interviews with 150,000 consumers across five continents. The total value of these 100 top brands increased 12% from 2013 to 2014, to a whopping $2.9 trillion. So how does your brand impact sales? A strong brand communicates the core value proposition of your organization. When the brand essence is consistently reinforced—both internally, as the “brand mantra” that, according to Strategic Brand Management author Kevin Keller, “reinforces the role of brand essence in internal communication”—and externally, your brand, and bottom line, grow stronger. A strong brand impacts, not only customer loyalty and sales, but market value as well. Attracting and retaining customers is easier when they perceive a brand to be prestigious or of exceptional quality—and a product with strong brand equity generally commands higher prices. Brand equity impacts sales volume as consumers are attracted to brands that promise great things. Brand equity also helps keep costs down—it costs less to retain a loyal customer base than it does to acquire new customers. Brand also drives purchasing decisions. A McKinsey 2012 study of more than 700 executives found that B2B purchasing decisions were less value-driven and that suppliers’ brands—their value propositions—were key in their decision making. U.S. executives cited that 18% of a purchasing decision was influenced by brand, compared to 17% they attributed to the sales effort. Now more than ever, a strong brand—driven by robust, real and relate-able brand messaging—is essential to healthy and profitable growth. For B2B organizations, especially those in less traditionally “branded” industries, there has never been a better time to invest in brand development and strategy to help fuel growth and innovation. Our Boston-based B2B company, Grant Marketing, specializes in helping companies find their brand essence. We can help you turn your brand messaging into actionable strategies for strengthening customer loyalty, increasing sales, and improving the bottom line.